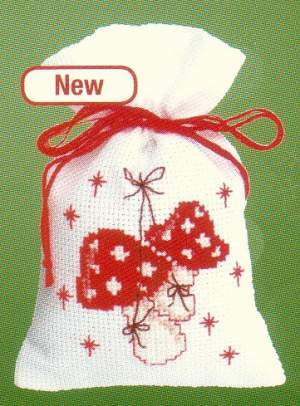 Borduurpakketten.nl | Embroider - Counted Crossstitch | Vervaco, Potpourri bags Christmas (PN-0145604) | Counted c.s. Potpourri bag. Size 8 x 12cm. 7 stitches per cm. aïda white.